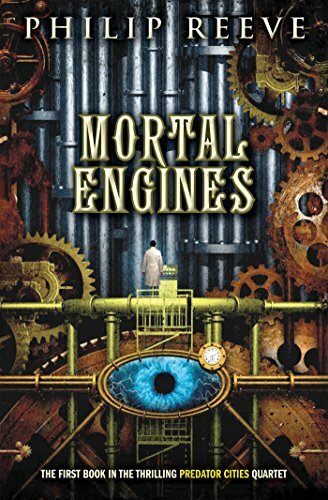 The trailer is out for the upcoming movie adaptation of Philip Reeve's Mortal Engines, which will be directed by Christian Rivers, but co-written by the Lord of the Rings team of Fran Walsh, Philippa Boyens, and Peter Jackson. It looks... noisy. Remind me not to see this in theaters; I'm not sure my ears could take it.